Measurements: 46mm high X 55mm wide. The setting will hold an 18mm X 13mm stone. There are 5 round areas at the bottom and 1 at the top that can hold a 7-8mm stone. 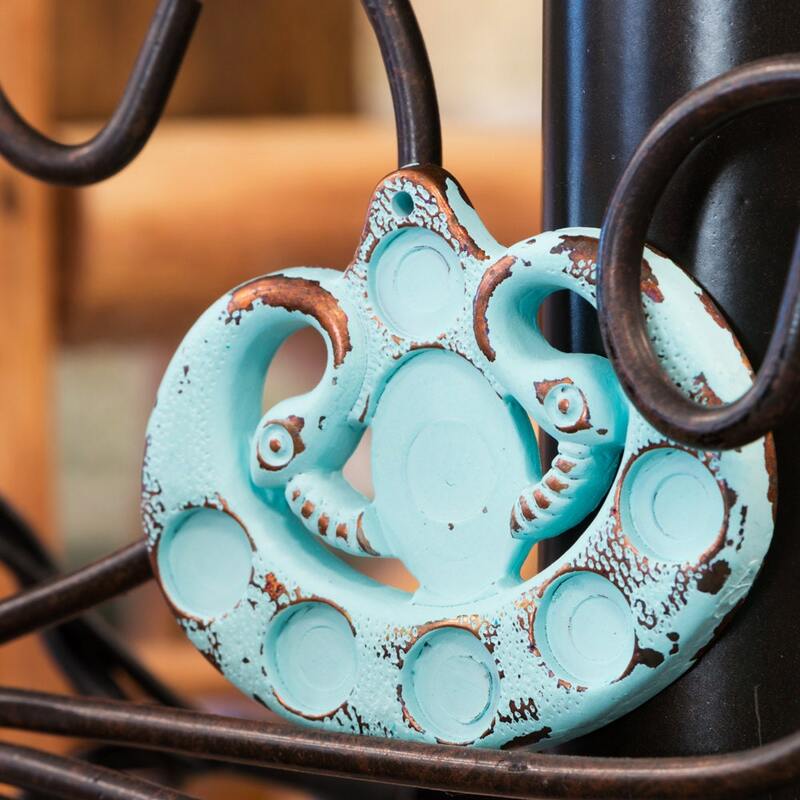 Characteristics: Vintage pendant done in a copper color with a turquoise wash. 1 hole at the top. 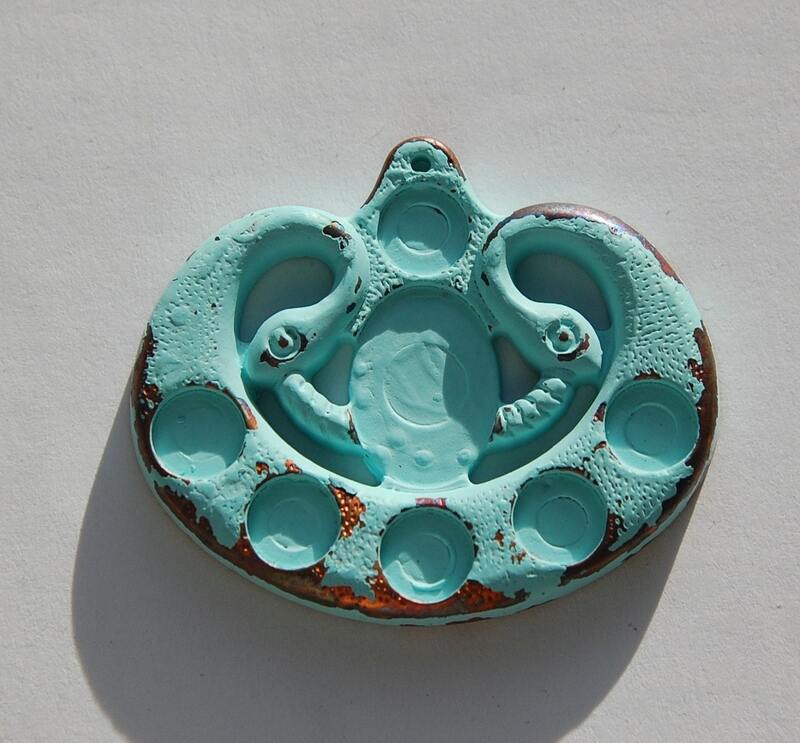 Find other pendants in this style in our shop!